Smart syringes have been engineered with features to protect health workers from using a syringe more than once, reducing needlestick injuries that can lead to infections. 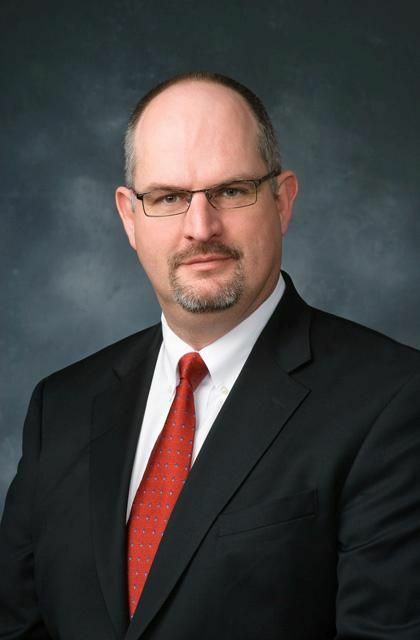 There are several types of smart syringes available, according to Graham Reynolds (pictured), vice president, marketing and communications pharmaceutical delivery systems at West Pharmaceutical Services Inc. (Exton, PA). "Some examples include an auto-disabling system that prevents reuse of the needle, a needle-shielding device which immediately and automatically covers the needle upon withdrawal, and a needle which can be covered after use, through some type of manual process." Developing and manufacturing safe syringes require specialized knowledge and production capabilities. "It is essential for pharmaceutical companies and their delivery device design partners to understand how patients, caregivers and healthcare workers will interact with a delivery device so that the syringe is safe, effective, and easy to use," Reynolds says. "Needlestick prevention features are an important consideration; drug manufacturers must take responsibility for providing end users of their products with systems that ensure effective delivery of injectable medication while simultaneously protecting caregivers and patients from accidental needlestick injury." Reynolds says that a key factor in designing safe syringes is the close collaboration between the maker of the drug and the manufacturer of the syringe. This can help outline the steps needed to ensure needle safety when designing a drug's packaging and delivery system. "The manufacturing partner should have a deep expertise in needlestick prevention, experience producing safety-engineered products, and a thorough knowledge of integrated drug delivery," Reynolds explains. In the following Q&A, Reynolds discusses considerations required to design safe syringes and the importance of human factors in syringe design. He closes the interview by reflecting on what he feels are the biggest innovations in syringe design. Qmed: What are the most important considerations when designing for needle safety? Reynolds: Ease of use is one of the top considerations when it comes to needlestick prevention. This is true for both healthcare workers who are experienced giving injections and for patients who self-administer injectable therapies. Patients don't have the advanced knowledge and practice of an experienced healthcare worker. When delivering injections at home it's essential they have devices that are safe, quick, and easy to use on their own. For nurses, safety systems should be designed to provide immediate protection, without inhibiting their workflow or injection technique. When designing for needle safety, it is also critical to identify ways to protect healthcare workers and patients from accidental needlesticks with minimal extra steps. The needle safety mechanism or device should be incorporated directly into the delivery device itself, making the injection as intuitive and convenient as possible. 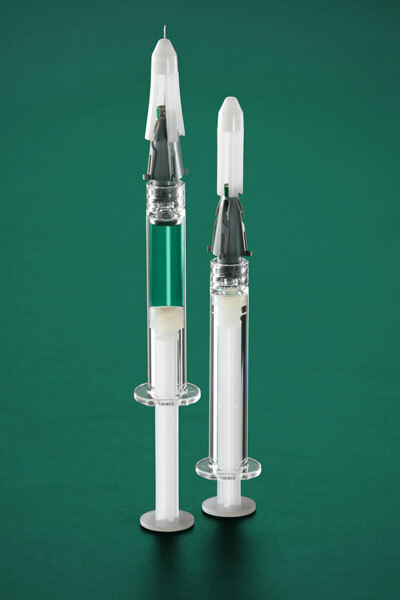 The NovaGuard SA syringe can be used with a single-handed technique to shield the exposed needle before and after injection. Qmed: What are the benefits of active versus passive syringe safety systems? Reynolds: Both active and passive systems have desirable attributes for safe drug delivery. Passive syringe safety systems allow healthcare workers to administer injections without any change in technique as they require no activation steps. The safety features are built in as an integral part of the system and cannot be removed; therefore, they remain in effect before, during, and after injection. Passive, integrated safety systems can also have the advantage of minimizing the overall size of the system, and offering advantages to the pharmaceutical manufacturer by eliminating extra assembly steps. 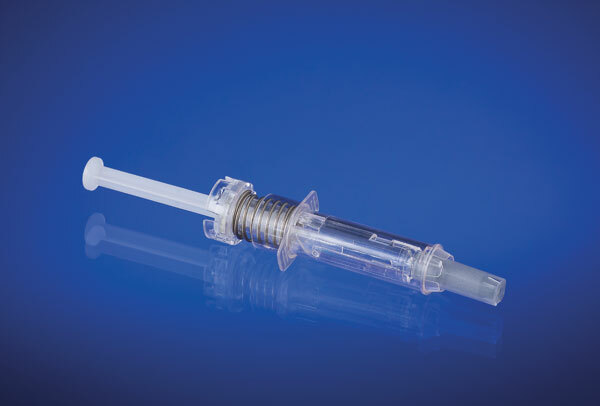 Active syringe safety systems require the user to take additional steps to activate the safety feature during the injection process, such as manually flipping a guard over the needle. Failure to activate the safety feature leaves the worker and patient unprotected, so proper use by the healthcare worker is the primary factor in the effectiveness of active systems. When selecting a delivery device, it's important for drug manufacturers to consider how patients, healthcare workers, and the drug will interact with the delivery device. This holistic picture should be the guiding principle when choosing the appropriate device. Qmed: How successful do you think the syringe designers have been in designing to reduce fingersticks? Given the serious risk and frequency of accidental needlesticks, the WHO is calling for greater focus and innovations in technology in the realm of needlestick safety, calling for the use of safer syringes to reduce the risk of needlestick injury as part of a new guideline aimed at protecting healthcare workers and patients from illnesses transmitted by needles. Under the new guideline, the WHO is urging the healthcare industry to transition to smart, safer syringes by 2020. The WHO's initiative underscores the urgent global need to develop and implement safer injection systems. Injectable drug delivery systems that incorporate a safety mechanism can help significantly reduce the risk of accidental needlestick injuries. The Centers for Disease Control and Prevention (CDC) estimates that using safer medical devices could prevent 60-88 % of sharps injuries in hospitals. Drug companies and their delivery device manufacturer partners are encouraged to lead the way in safety innovation by evaluating and designing new options for syringe systems that help reduce the risk of accidental needlestick. The NovaGuard LP prevents needlestick injuries using a plastic shield to cover the needle before injection. Qmed: How do you recommend using human factors research during needle design? Reynolds: Understanding human factors allows device developers to better understand how patients are actually using the devices. A successful drug delivery system should be easy to use, intuitive, efficient, and effective. In addition, any delivery system must be safe for the patient or caregiver to use in the environment for which the product was intended. This requires a careful consideration of the end user's capabilities and needs during the design process. To design a delivery system that will truly resonate with patients, the developer must first understand the behaviors and motivations of the intended user groups. Human factors engineering (HFE) is an integral component of user-centered design, and can help to ensure that the device or delivery system meets the cognitive, physical and emotional needs of the end user. Incorporating HFE principles and methods early in the design process enables manufacturers to identify and define patient needs in detail and examine the point where a product intersects with the intended user. To understand the needs and desires of users requires insight into their unique experiences and situations. HFE research into end user motivations and real-world interactions with delivery devices can help drive innovation in design and development processes to create a solution that works not only for the intended user group in a variety of situations, but also throughout the course of treatment. Qmed: What are the biggest innovations you see right now with respect to syringe design? Reynolds: While the industry has seen advances in needlestick prevention, there needs to be ongoing development to create safer systems and practices that are accessible worldwide. The recent guidelines citing the need for increased needlestick safety point to the need for needle safety devices that are intuitive and easy to use. Pharmaceutical and delivery device manufacturers must work together to create efficient, cost-effective systems that ensure that safety is optimized for the patient and healthcare workers. Two examples of advancements in the field of needlestick safety are West's NovaGuard LP and NovaGuard SA. NovaGuard LP is a passive safety needle system for luer lock syringes that can help prevent needlestick injuries via a plastic shield that surrounds the needle before injection and automatically covers the needle as it is withdrawn. The NovaGuard SA (staked-needle automatic) safety system is a user-controlled system that can be deployed using a single-handed technique to shield the exposed needle before and after injection. Based on extensive experience in the field of injectable drug delivery, West has also developed a next-generation technology that is fully passive, integrated onto the syringe, requires no change in injection technique, reduces the overall size (compared to traditional "add-on" systems) and minimizes activities necessary at the pharma company. By helping to reduce the risk of accidental needlestick, safety systems can help prevent the transmission of bloodborne pathogens. [i] Wilburn SQ, Eijkemans G. Preventing Needlestick Injuries among healthcare workers: A WHO-ICN collaboration. International Journal of Occupational and Environmental Health, 2004;10:451-456. [ii]"How to Prevent Needlestick Injuries." Occupational Safety and Health Administration. <https://www.osha.gov/Publications/OSHA3161/osha3161.html>. Learn more about drug delivery at MEDevice San Diego, September 1-2, 2015.